FINDING COMMUNITY Storyteller, educator and activist Roxanne Baker shared how she found acceptance in a Jewish deaf community in California before returning to Maine to raise her sons. 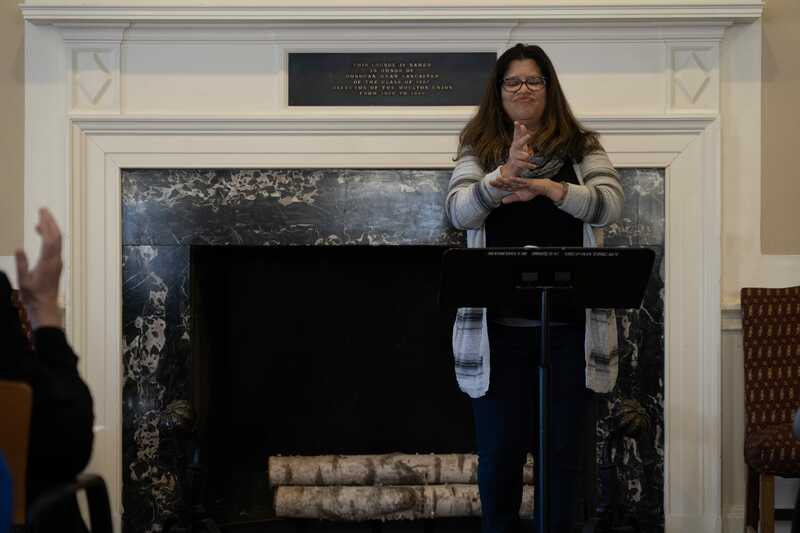 On Tuesday, storyteller Roxanne Baker, an educator and activist, told a crowded room in Moulton Union’s Lancaster Lounge a story from her childhood about coming to terms with both her deafness and her Jewish identity. Baker was born in Portland to a hearing family and until she was eight, attempted to get by with reading lips with the help of intense speech therapy. This was until her parents sent her to the Governor Baxter School for the Deaf, a boarding school for Deaf and hard of hearing students on Maine’s Mackworth Island. The education Baker received at the Baxter School was transformative—it provided her with the space to be an active member of a community. But even in a school where her Deaf identity was finally accepted, she found she was also ostracized because of her Jewish identity. She discussed on Tuesday the taunts and insults she would receive from her fellow classmates, and even from her teachers, such as making a sign for “Deaf Jew,” combining the signs for Deaf and for money. It was at this point that Baker says she realized the complexities of inhabiting two marginalized communities, and realized she needed to find a space where she was allowed to accept her whole, complex self. Baker’s words were translated by Meryl Troop, an interpreter and activist for the Deaf community. She spoke for Baker during the story and, during the question and answer portion of the event, signed student questions back to Baker. Zachary Kaplan ’21, a co-leader of the Bowdoin American Sign Language (ASL) club and an organizer for the event, said that he thought Baker’s visit was a great opportunity for students to learn about a perspective to which they are not often exposed. As she entered adulthood, Baker was able to find communities that she could better connect to than the Portland area. She moved to Los Angeles and found a Deaf Jewish community, as well as a Deaf rabbi. But when asked about why she returned to Maine, she emphasized the importance of staying loyal to one’s roots and noted that Maine is a great place to raise her two sons. Isabella McCann ’19, who attended the event, has been practicing American Sign Language and is a member of Bowdoin ASL. She appreciated Baker’s story and thought it was important that Bowdoin students learn more about Deaf culture. 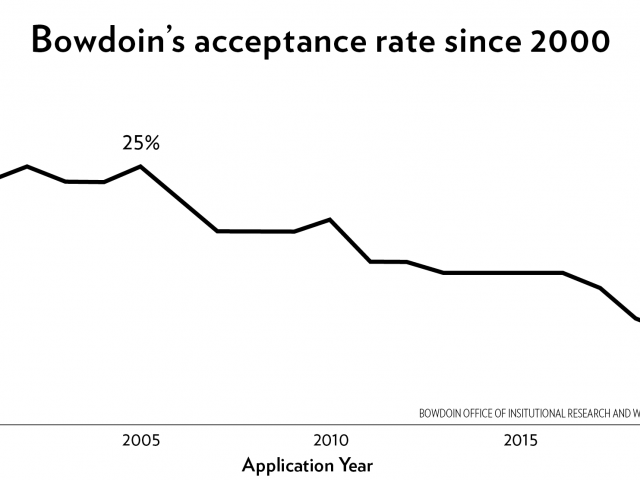 The event was co-sponsored by Bowdoin ASL, the Disabled Students Association and Bowdoin Hillel, as well as by the Offices of Student Accessibility and Religious and Spiritual Life. Baker now sits on the board of the Maine Educational Center of the Deaf and Hard of Hearing, the same school where she first learned to sign. She is also a professional storyteller and actress in the Portland theater community.